The Second District of the Illinois Appellate Court administrative and procedural rules, amendment clarifying requirements for documents filed in court. 1. 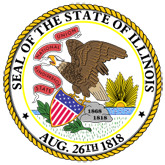 Administrative Order 101 (Amended) In The Appellate Court of Illinois Second District (20070821110713_2nd.pdf).